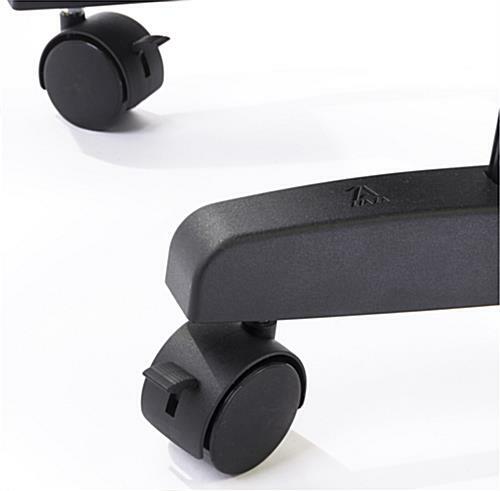 The periodical holder with casters is made of durable plastic to allow for placement in public spaces. 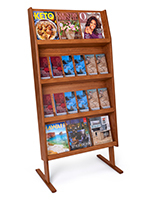 The mobile magazine display is ideal for a library, office or school that might need to share reading materials between rooms. 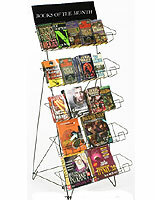 The periodical holder with black color is able to suit many styles of room décor. 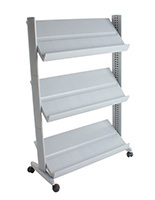 The shelving on each side of the storage unit is able to adjust for different viewing angles of customers. 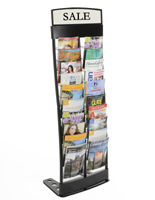 The holder has 4 locking casters to help the mobile magazine display stay in place when needed. 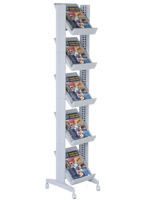 The shelving is divided up to place 4 storage tiers on each side for more viewing opportunities for customers. 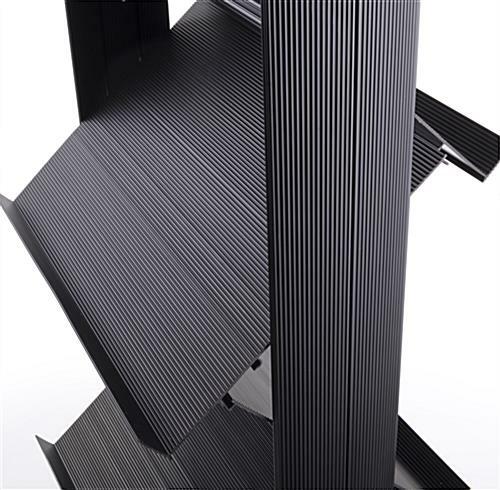 30.7" x 66.9" x 15.0"
27.5" x 12.9" x 1.3"